It is no secret how addicted I am to the Eagle Elite series, and Ember has well and truly fed that addiction! As soon as Ember was announced I was excited and apprehensive in equal parts. Anyone who has read the previous books will know why I have a love/hate relationship with Phoenix but Rachel has put any, and all, reservations I had about him and his story to rest! The story of Phoenix De Lange was never going to be an easy one to tell and Rachel has really outdone herself this time. She has done an amazing job of tackling a very sensitive issue and successfully spun Phoenix and his story on it's head until it's no longer clean cut, no longer black and white, but a total haze of beautifully spun greys and silver. I knew it was going to be heart wrenching because of Phoenix's past, but I really wasn't expecting to be as emotionally involved as I was. All the walls I had built up where Phoenix was concerned have been well and truly smashed down...and I honestly couldn't be happier about it! Whilst Nixon and Trace will always be my favourite Elite couple, Phoenix and Bee are a really close 2nd... It may even be a tie it's so close. I just love the way Bee teases and taunts him! The rest of the gang didn't disappoint either, they were all on top form and I was crying with laughter more than once. 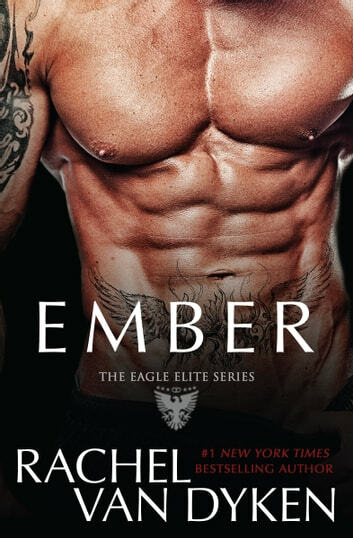 Ember is a seriously epic book and it's a fantastic addition to the series. Thank you Rachel for letting Phoenix tell his story.